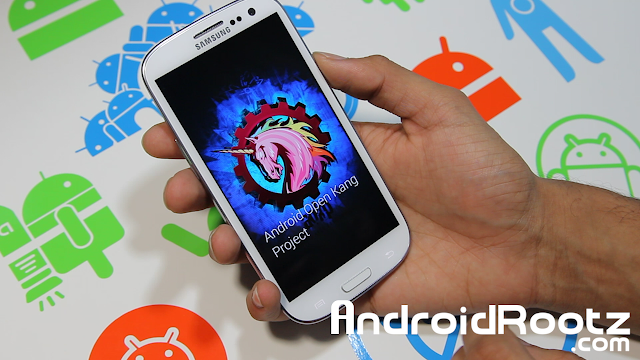 AOKP MR1 Build 2 ROM for Galaxy S3! [T-Mobile/AT&T/Verizon/ U.S Cellular] ~ AndroidRootz.com | Source for Android Rooting, ROMS, Tricks and More! AOKP is a great ROM for multiple reasons. Specfically in this build new features were added like, unlimited amount of widgets on your lockscreen, put any type of widget on your lockscreen, and so many other great features! This ROM also is very stable and can definitely be used as a daily driver. Using AOKP as your daily driver you will experience alot of great features that you don't usually get with other ROMS. Overall, AOKP is a great ROM that I personally love and use it on a daily basis. Download this ROM using the links below...DO NOT forget Gapps!